AJKTours arranged a camping tour for its exclusive camping club members in Peer Chansi. Sudhan Gali is a village located in Bagh District, Azad Kashmir. It lies on the main road that connects the district Bagh to Muzaffarabad, the capital of Azad Kashmir and also connects the town of Chikkar with Bagh city. Sudhan gali is located at the height of 7000 feet. Muzaffarabad is the Capital of Azad Kashmir(AJK). It is very vast and populated area. Thousands of people visit from other villages and cities to Muzaffarabad City, there are every type of hotels Muzaffarabad from luxury to average standard hotel. Maps of hot spots in AJK are given below district wise. 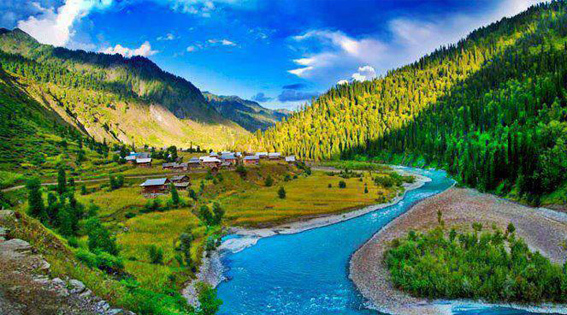 Sharda: (Rest House available) The most picturesque place in Neelum Valley is “ Sharda” it is located at a distance of 136 Km from Muzaffarabad and 30 Km from Dowarian. It is a breath taking spot. An event of paragliding in Peer Chanasi Muzaffarabad was held by AJK Tourism department on this Sunday(09-Jan). The basic purpose of event was to promote tourism in Azad Kashmir. The bewitching beauty of Kutton permeated in the radius of 10 kilometers, makes Jagran Valley. The Shrine of the saint is situated at Upper Adda near AJK University in the main Muzaffarabad city and is surrounded by the largest graveyard of the city.